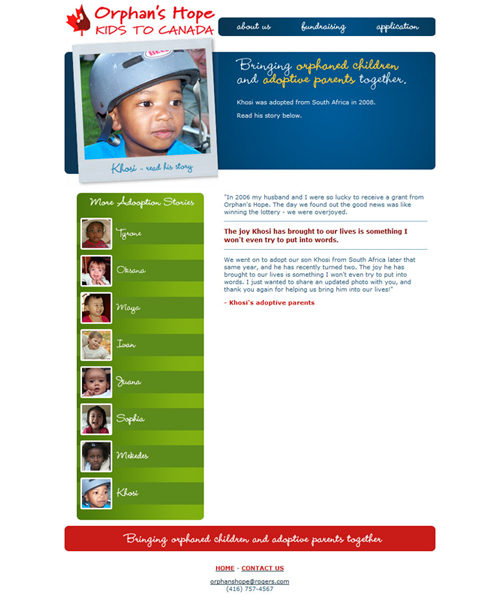 Designing graphics and some website pages using HTML and CSS. Providing website maintenance and website hosting. 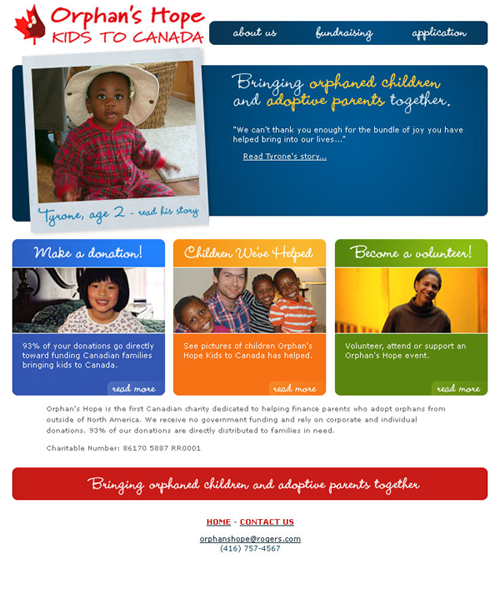 Orphan’s Hope Kids to Canada was co-founded in 2002 and it is the first Canadian charity dedicated to helping finance parents who adopt orphans from outside of North America. 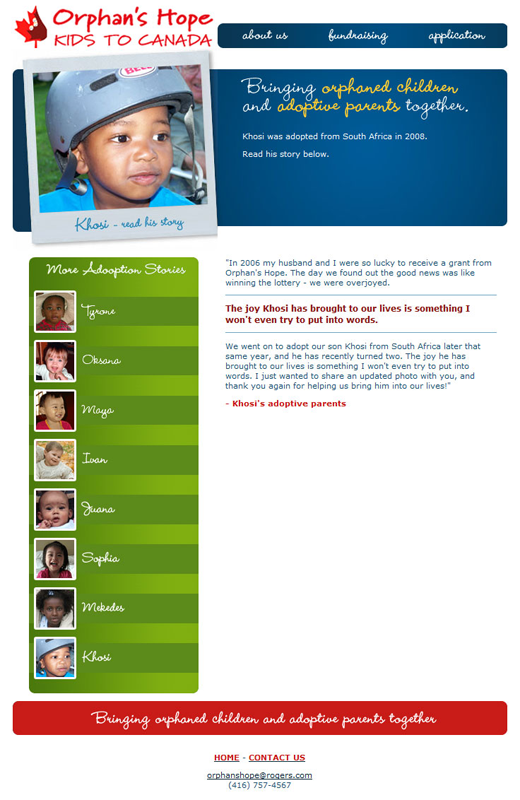 Disturbed by the incomprehensible number of needy orphans around the world coupled with the often substantial costs of international adoption, the founders set out to make a difference. 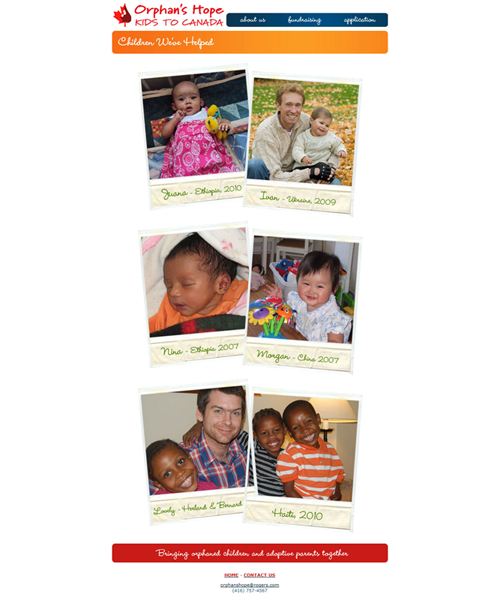 Since then, the Board has expanded to include several other members, many of whom are adoptive parents themselves. 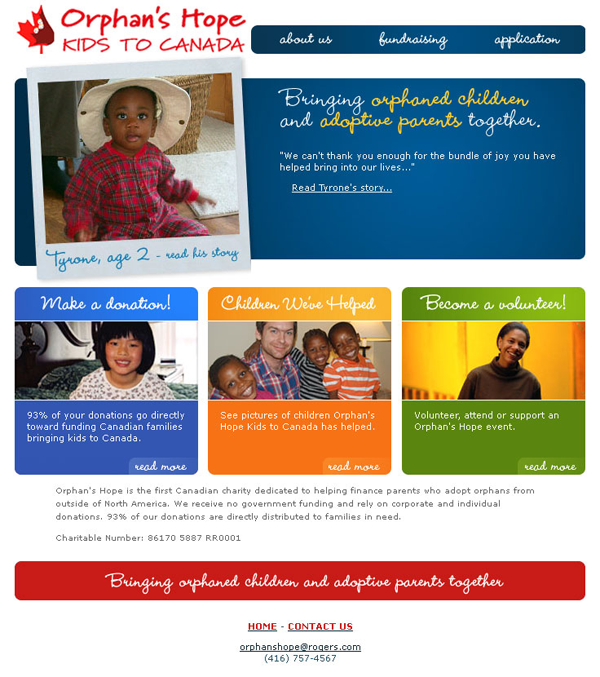 The dream of Orphan’s Hope Kids to Canada is to ‘bring orphaned children and adoptive parents together’ in the greatest possible numbers.